WiTricity, an industry pioneer in resonant wireless power transfer over distance, today announced an intellectual property license agreement with the world’s top-selling carmaker, Toyota Motor Corporation. Having made an equity investment in WiTricity in 2011 to accelerate the development of automotive wireless charging systems and acceptance by carmakers, Toyota has cooperated technically with the company for the past several years. 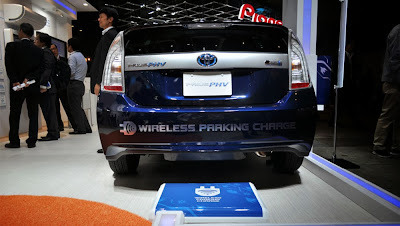 Under this intellectual property license agreement, Toyota will offer wireless charging power capture devices on their future rechargeable hybrid electric and battery electric vehicles. Compatible wireless charging sources will be manufactured by third party charging system suppliers, under license from WiTricity. WiTricity’s technology delivers electric power safely over distance and eliminates the need for the charging cable that is required for EVs and PHVs that are currently on the market. Toyota has identified this technology as a key differentiator in the marketplace because of its seamless operation and the convenience factor it offers the vehicle owners.